Good prices and excellent customer service. The facility manager is very helpful in assisting our needs. All my questions were answered quick. Simple process, Monica was very helpful. Happy with the service. Always such an excellent service, pleasant and helpful. Good customer service Monica is very nice. Facility clean all the time. Great help from this gentleman, made my day thank you. 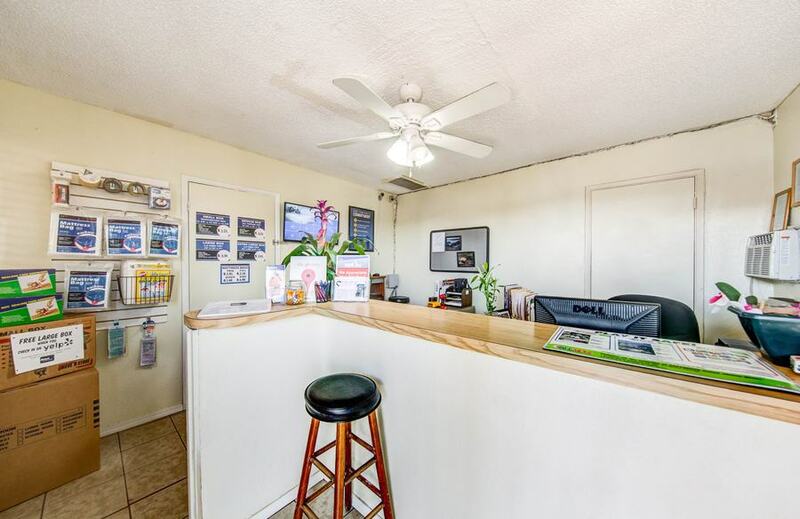 Very helpful front desk, very polite, went in the beginnings of last month for U-Haul service and the lady helped me out so much, helped me with the reservation, thank you. Thank You StaxUp for hiring a very great employee, Monica is very helpful, smart and great customer service, rental was a breeze. EVERYTHING WAS GREAT! Monica was very kind and helpful. Great customer service, above and beyond my expectations! Very professional, accurate with information. Everything went smoothly. Excellent! Monica was amazing help!!! A+++ customer service would recommend to others. Very friendly and courteous!! Excellent customer service!! Thanks!! Your staff is always very helpful and friendly. Thank you! El servicio es excelente buenos precios y promociones. En mi opinion seria genial tener acceso un poco mas tarde a la entrada. (Gaston Gomez) Un exelente empleado muy amable y atento buen servicio. Great location, professional/friendly service, good prices on storage and items you may need to store. Monica me atendio muy bien me gusto el establecimiento esta muy limpio muy bien organizado. Muchas gracias. All is well. Customer service has always been great. Awesome staff, answered all questions. Did not answer phone, called right back. Helped my mother with everything she needed. Thank you Monica & Gaston. Good storage facility and great service. Gladly return. Customer service is great!!!. Monica and Gaston are very nice and very professional. The storage units are the perfect size and also are kept very clean. Good job!!! Gaston was very kind & courteous explained all details & answered my questions. Good sales person. I received very good customer service. Plus I was a previous tenant and was also very satisfied with the service provided back then. I get very nice, understanding people who I deal with, when I pay my bills... this month, I wasn't able to pay my rent... yet I only have to pay a very small late fee of $10. when I pay it by next month! If that isn't awesome service, I have absolutely, NO clue as to what is! Thank You Staxup for the wonderful, friendly and understanding, services you provide! I had a very positive experience on my visit to this location. Service was very friendly and everything was well explained and I am completely satisfied. Good customer service and good in explaining everything. I had a great customer service rep. got well informed and save some money to. Ningun problema todo muy bien, muy bien servicio de oficina y de storage. Gracias por sus atenciones. Excellent cust service, very friendly, everything fit in unit fine. Very satisfied. Plenty of room, outside is clean and customer service is good. Since the beginning, I experienced really good customer service. Monica is very friendly and helpful. Thank you Monica for your great service! Very Professional employees, great customer service! Fast process. Very clean facility. Clean, wonderful experience, very friendly and customer service is amazing. Friendly customer service, clean facility. Overall great experience. I had great service and always helpful. Thank you. The staff at StaxUP Storage are very friendly. Me atendio muy bien es muy bueno atento. Everything was great. Extremely friendly service. Thank you. Great service, space is clean. Monica was of great help and explained everything very well. Excellent customer service!! I'll be back on March to get a space. Very clean and very good customer service!. No comparison to the other locations I visited. Awesome service very professional. Storage place very clean and maintenance very helpful. I was accommodated with great customer service and prices. Very friendly and with a huge smile. Love working with staff they treat you like family. "Excellent customer service!" Customer service has been great & helpful! No issues whats so ever. Excellent customer service. Very nice and friendly. Storage was spacious and clean. Highly recommend. Very pleasant to work with, clean & accessible hours great. Yo estoy contenta con el servicio. Las personas son amables y seguire usando este servicio. The staff here in El Centro are always super helpful & nice, but I really hate that we cant get in past 7 p.m. For awhile we could come in til 10:00 p.m. & that worked so much better for me. En mi humilde opinion que desde la atencion en la oficina fue excelente y el storage esta muy bien, lo unico es que no hay foco. Monica, your service representative, was very professional, helpful, friendly and informative. Very good attention and amability. All was excellent and I am glad to visit this place. Great customer service friendly, facility looks great too! Customer service was great! Chose this place my husband liked the fact about the security. They are doing a great job. Thank you. Good customer service, already have recommended this place to friends and family. It has been my experience with the StaxUp Storage El Centro that the managers have always provided excellent service and been professional and pleasant in doing so. Great customer service, would come back if required storage. Highly recommended. Personnel awesome. Always willing to help with questions I will definitely recommend or use premises in the future thanks for everything. Bien servicio y limpia la propiedad son muy hamable todos. gracias por todo. Esta exselente el lugar bun presio y muy limpio. found mice droppings in our unit have to throw away all our kitchen stuff as a procaution now. La muchacha que me atiendio fue muy hamable. Estoy satisfecha por su servicio muchas gracias. Facility is very clean. Highly recommended. Staff is very friendly, polite and very nice. Thank you! Great location and service. Very secure for my RV. Facility is clean, customer service is freat!, nice ladies! I was referred by a family friend and I absolutely am happy and satisfied with the service. :) The dog is super adorable! Kimberly was great! Service with a smile fast and convenient. Over all service was excellent. Peewee was awesome too! Vivian is very helpful, knowledgeable and kind. I like working with her for my storage. Very helpful service, good people, would definitely recommend this place to others. I have enjoyed my experience here at StaxUp with Vivian Ortiz & crew. I will definitely recommend my family & friends to StaxUp Storage. Vivian is very good with me. I will always come back to her to rent a storage. Great service. Managment very nice,polite and helpful.. been here for 7 years and still feel peace of mind that my valuables are safe. Everytime I go to my unit I stop by the office because manager is very friendly and she let me know if any updates on my unit :). Muy bien servicio. Thank you! Great service. Vivian is very nice. Service is the best. Always greeted with a smile. Thanks guys. Excellent service and property clean. Been a customer for many years and I have nothing negative to say. Always A+ service. Always clean, always very polite. Great place. Very good service. Vivian is great. It's my 1st time renting a storage. Vivian was such a great help & really appreciated her staying after hours to set us up. Me gusta el servicio y el trato de las personas que trabajan aqui. Gracias. Great staff. Been renting here for 7 years no problems ever, thanks. We love our unit and especially how nice Vivian is. She is an awesome manager very friendly & helpful. I think this place is great especially Mrs. Ortiz. Awesome Service! We'd highly recommend 'em. This is the best place for your storage needs. I have been here for 1 year and 7 months. The people here are always nice to you. Very great service. No complaints, friendly staff. Thank you to all the staff great service. Never had any problems. Thank you! Es bueno tener un storage como este. Estuve muy agusto con ustedes. Thank you for the excellent & courteous service provided to me by StaxUp Storage and its staff. I have had a good & pleasant experience and would definitely recommend this facility to those I know. I'm very satisfied with the services here. Vivian is very nice. Good customer service. I was satisfied with the services I received. I felt comfortable with the safety of my things. I always experience friendly and professional service. Thank you. Great customer service. Vivian in the office is always friendly & super helpful. Wish hours were longer (later) to get into storage unit. Everyone that works here is nice. Everything is ok and I am very happy renting here. Great customer service! Very nice person. My experience with the service they provide @ "StaxUp" It is excellent. Friendly staff and very helpful with their clients they value our concerns. Awesome! Exactly what I was looking for. All Well Thank you guys. Bien tengo el gusto de tener por mas de 8 anos y para mi todo el tiempo el lugar es seguro accessible , y su personal siempre muy cooperative en todo momento. en mi opinion todo esta muy bien , y agradezco sus servicios . sin mas muchas gracias. F Fernando Coronado. Went in on Friday to make my payment and I met the assistant manager and I wanted to say that is he is such a pleasant person! Very helpful and friendly. Makes me happy to see good people working here. Excellent service. Very courteous on the phone and in person. I found the staff at StaxUp Storage in El Centro to be very helpful and courteous. I have used them twice in the past several years and I would recommend them. I highly recommend StaxUP Storage in El Centro. Monica is very professional and organized. She always returns calls and documents in a timely manner. She goes above and beyond to help her customers. Thank you! Monica! Excellent customer service is what sets them apart from the rest. This is our second year with StaxUP El Centro and we couldn't be happier. The facility manager Monica, and her team have been very helpful in assisting our many needs. As a church congregation its important for us to have access to our equipment. Monica quickly identified our needs and set us up with a unit that was closer to the gate to allow us easier in/out access. In all, we will continue to use this storage company, and hope that Monica and her team stick around for years to come. Monica is excellent! She and her team have gone above and beyond to ensure customer satisfaction at every level. We will happily continue into 2018 with Monica and entire the StaxUP El Centro team! manager is a very nice person who will work with you, very clean and friendly staff. The owner was easy to reach and kept in contact. I rented a unit for over 2 yrs, staff was always very nice & helpful. They always try to work with you with any issues that come up. I definitely recommend this storage & would rent from them again in the future. I wish every business were as great as this one! The world would be a better place. They do a great job and put care into their work. THANK YOU!! "excellent place! Very good customer service, and very clean place. I'm looking forward to rent a unit with you guys." Very clean and very friendly customer service. The supervisor Monica Ramirez was very helpful and respectful, was in and out in no time. Will be a long time customer. Monica was very curtious im looking around for a storage been looking around and the lady is very helpfull im done looking come monday im getting a storage, place is clean when i got there a waited for a minute but she was out looking at locks and storages. Very profesional place with curtious customer service, restroom was very clean for my liking , Fair prices and also my unit was dust free. Will definitely be back again. Manager Monica Ramirez with her friendly personality provided great customer service to serve my needs. She is going places. Plus, the facility is well-kept and secure with a tall iron gate. Great prices. Great customer service, very professional. Very clean facility. Manager Monica Ramirez provides really great customer service. The facility is very clean. Excellent prices. I'm very satisfied. Very clean. Awesome customer service! The manager always works with me and makes sure the customer is always happy. Very friendly service. Fair pricing and easy and reliable access. Would really recommend and will be back soon! 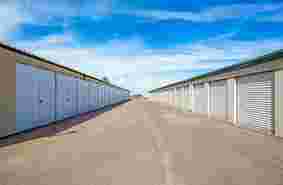 Looking for storage or RV parking at reasonable rates? Look no further! 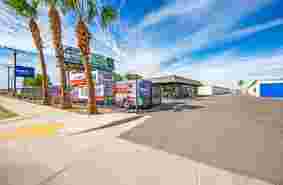 StaxUp Storage – El Centro is located in El Centro, California, one mile east of Dogwood Road. Our East Evan Hewes Highway address is right on the corner of Earls Street and East Main Street. We proudly serve the surrounding areas of Brawley, Imperial, Heber, Seeley, Holtville, and Calexico. Our friendly, experienced resident manager and bilingual staff are happy to assist you with all your storage needs! 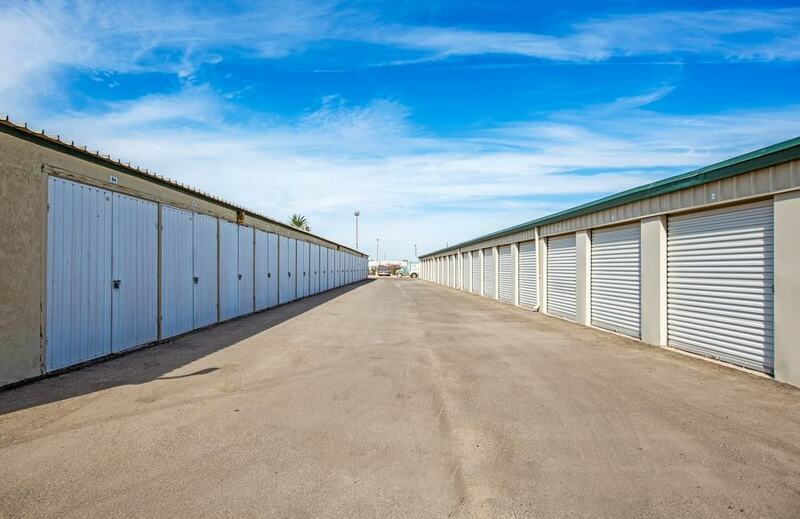 Our storage unit sizes range from 20 to 300 square feet. 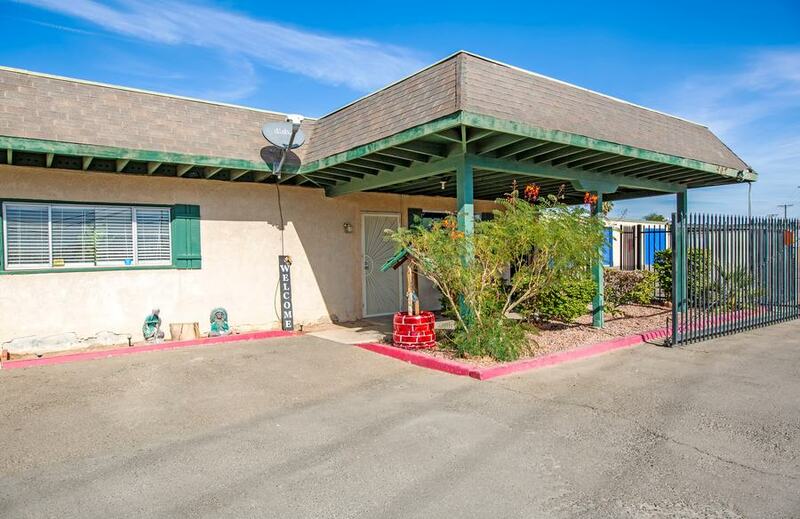 We also have parking for RVs, boats, and other large vehicles, so you don’t have to drag them all the way home. Spaces are large with easy access, making large vehicle storage a breeze! We also have packing and moving supplies available right here at our office. For your convenience, we're an authorized U-Haul Dealer! Our facility is equipped with 24-hour security cameras, and we do whatever we can to maintain a safe environment on our property. We are proud to offer a senior discount, and to show our appreciation to military personnel, we offer a military discount. We appreciate your service! Come visit us and we’ll show you around! Here at StaxUP Storage, we know our success is due to our wonderful team. The care they give our renters is unparalleled and we want to highlight their milestones along the way. Below is an interview with El Centro, CA team member Monica Ramirez, who is celebrating her 2-year anniversary with StaxUP Storage. Monica Ramirez has been a manager at StaxUP Storage for 2 years and currently runs a facility in El Cajon, CA. You can meet Monica at StaxUP Storage in El Centro, CA. Peter: How long will it be here for your anniversary at StaxUP? Monica: It’ll be 2 years now on February second. Peter: That’s a long time for any job nowadays. How did you get started with StaxUP? Monica: I applied part-time for the assistant manager, so then from there they transferred me and in a few weeks at El Centro, they made me the manager. Peter: Movin up quick, that’s great, Why do you think you moved up so quickly? Monica: The manager that was here before me she was having some family matters that needed her attention and I filled the position. Peter: Well, I’m glad you were there to step in and do a good job. Monica: Thank you, I really have been. It’s been changing a lot honestly. I’ve just been trying to learn a lot. Peter: What would you say are some of the big things you’ve learned since starting with StaxUP Storage? Monica: A lot of patience and to treat everyone as if they were your family, you just have to be really patient. 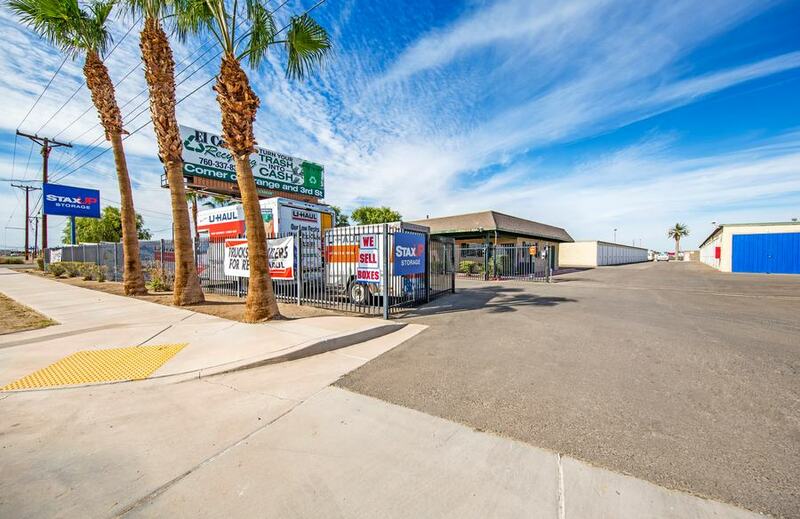 The front entrance at StaxUP Storage in El Centro, CA. Monica: A lot of customers are on a fixed income, maybe receiving money once per month, so you have to work with them financially. If you’re willing to work with them they’re willing to work with you. Peter: I’ve heard that StaxUP as a whole is really good about working with people no matter what their situation is. Monica At the end of the day they really thank you for it. I had someone bring me a hat with a Christmas card and she was really thankful because I was so patient with her. Peter: You’re at the El Centro self storage facility right now? Peter: Would you mind describing some of the defining features of the El Centro self storage facility? Monica: The main thing is that there’s the Imperial Valley Mall about 5-10 minutes away depending on traffic. Peter: Are all of the units drive up? Monica: There are some hallway ones but most are drive up, and there are some parking spaces in the back. It’s pretty small here, to be honest. There are only about 300 storage units. Peter: That sounds like a nice, homey place. Monica: Exactly. It’s easier to maintain and know who your customers are. It makes it a little bit more convenient. Peter: Do you have any hobbies outside of work? Monica: I like to spend a lot of my time with my family. My husband also works for StaxUP and we have the same days off, so it makes it really convenient. If we’re not being homebodies, we take our kids to Heber Dunes its outdoorsy and they can ride bikes and stuff. It’s a state off-road vehicle park. It’s really nice and quiet. We really like it because they have security, so we like to bring our kids because of that. Wide lanes and drive-up access at StaxUP Storage in El Centro, CA. Peter: I’ve never been offroading before. Monica: I only recently got into it with my husband, so I’m learning a lot haha. Peter: Do you guys like to go out to eat or do you cook at home? Monica: Actually we like to grill out a lot almost every weekend. If not here in El Centro, then back home with my family. Especially on the weekends. Peter: Is it the same dishes or is it different every time? Monica: It’s pretty much whatever we’re in the mood for. We really don’t like to eat the same thing over and over. Peter: Is there anything else that I haven’t asked that you want people to know? Monica: I’m just really surprised with how fast this has gone by. I was just talking with my husband about how I started part-time and now it’ll be two whole years. It just goes by really fast. Peter: At the end of these I like to ask if there’s anyone at the company who has helped you in the past that deserves a shout out. Does anyone on the team deserve a shout out from you? Monica: Actually, besides my Imperial Valley team, Chad and Brandy. They pretty much took me under their wing and taught me what I know today. Them more than anyone really.